I’ve been MIA lately, mostly due to my “crap, I only have one week of summer left” mentality, which in teacher reality means, “crap, I have to get into my classroom early to make sure I’m not stressed when I’m really due to report back next week.” See…more evidence that teachers are truly a hard-working bunch. While I’ve been slacking in the “Mrs. 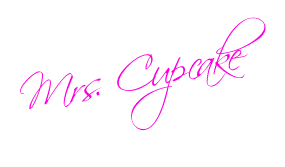 Cupcake” role of meal planning, sticking to somewhat of a schedule to keep our house together, and going on fun trips with BabyC , I’m mentally doing better in my role as a working mom. You see, last year at this time, things were pretty bad. I know I brought a lot of it on myself, but there were many factors that made both work life and home life a mess. So here you have some of my reflections from a year ago at this time. Things are already off to a better start this year! Do you see a pattern? Of course, much of it can be attributed to newish mommy hormones, but nevertheless, here’s to less tears, more sleep, more organization, better dinners, a cleaner house, and more smiles this school year. Of course, Mr. C and I do have a huge goal of celebrating one more semester of his MBA down with a trip to Ireland in December. That will keep us smiling for sure!